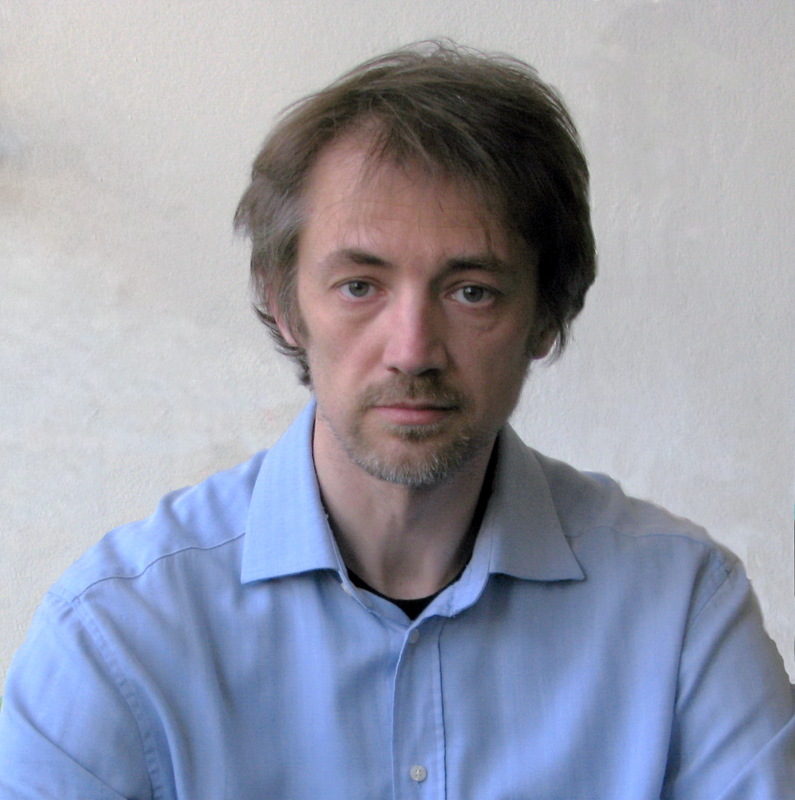 2011-present: Senior research associate (associate professor level), Institute of physics, Zagreb. 2007-2010: Research associate (assistant professor level), Institute of physics, Zagreb. 2013-2015: Project leader Confined DNA. Grant by Unity through Knowledge Fund. Tuning the interaction in lipid multibilayers by ions: When does a multivalent ion become a polyion? S. Tomić, D. Grgičin, T. Ivek, T. Vuletić, S. Dolanski Babić and R. Podgornik, Dynamics and structure of biopolyelectrolytes in repulsion regime characterized by dielectric spectroscopy, Physica B: Condensed Matter 407, 1958-1963 (2012) (download). S. Tomić, D. Grgičin, T. Ivek, S. Dolanski Babić, T. Vuletić, G. Pabst and R. Podgornik, Dynamics and Structure of Biopolyelectrolytes characterized by Dielectric Spectroscopy, Macromolecular Symposia 305, 43-54 (2011) Online ISSN: 1521-3900 (download). T. Vuletić, S. Dolanski Babić, D. Grgičin, D. Aumiler, J. Raedler, F. Livolant and S. Tomić, Manning free counterions fraction for a rod-like polyion – short DNA fragments in very low salt, Phys. Rev. E 83, 041803 (2011) (download). T. Vuletić, S. Dolanski Babić, T. Ivek, D. Grgičin, S. Tomić and R. Podgornik, Structure and dynamics of hyaluronic acid semidilute solutions: a dielectric spectroscopy study, Phys. Rev. E 82, 011922 (2010) (download). T. Ivek, T. Vuletić, B. Korin-Hamzić, O. Milat, S. Tomić, B. Gorshunov, M. Dressel, J. Akimitsu, Y. Sugiyama, C. Hess and B. Büchner, Crossover in charge transport from one-dimensional copper-oxygen chains to two-dimensional ladders in (La,Y)y(Sr,Ca)14-yCu24O41, Phys. Rev. B 78, 205105 (2008) (download). S. Tomić, S. Dolanski Babić, T. Ivek, T. Vuletić, S. Krča, F. Livolant and R. Podgornik, Short-fragment Na-DNA dilute aqueous solutions: fundamental length scales and screening, EPL 81, 68003 (2008) (download). T. Ivek, T. Vuletić, S. Tomić, A. Akrap, H. Berger and L. Forró, Collective Charge Excitations below the Metal-to-Insulator Transition in BaVS3, Phys. Rev. B 78, 035110 (2008) (download). S. Tomić, S. Dolanski-Babić, T. Vuletić, S. Krča, D. Ivanković, L. Griparić and R. Podgornik, Dielectric relaxation of DNA aqueous solutions, Phys. Rev. E 75, 021905 (2007) (download). T. Vuletić, B. Korin-Hamzić, T. Ivek, S. Tomić, B. Gorshunov, M. Dressel and J. Akimitsu, The Spin-Ladder and Spin-Chain System (La,Y,Sr,Ca)14Cu24O41: Electronic Phases, Charge and Spin Dynamics, Phys. Rep. 428, 169-258 (2006) (download). S. Tomić, T. Vuletić, S. Dolanski-Babić, S. Krča, D. Ivanković, L. Griparić and R. Podgornik, Screening and Fundamental Length Scales in Semidilute Na-DNA Aqueous Solutions, Phys. Rev. Lett. 97, 098303 (2006) (download). T. Vuletić, T. Ivek, B. Korin-Hamzić, S. Tomić, B. Gorshunov, M. Dressel, C. Hess, B. Büchner and J. Akimitsu, Phase diagrams of (La,Y,Sr,Ca)14Cu24O41: switching between the ladders and the chains, J. Phys. IV France 131, 299-305 (2005) (download). P. Zornoza, K. Petukhov, M. Dressel, N. Biskup, T. Vuletić and S. Tomić, Anisotropy and field-dependence of the spin-density-wave dynamics in the quasi one-dimensional conductor (TMTSF)2PF6, Eur. Phys. J. B 46, 223-230 (2005) (download). T. Vuletić, T. Ivek, B. Korin-Hamzić, S. Tomić, B. Gorshunov, P. Haas, M. Dressel, J. Akimitsu, T. Sasaki and T. Nagata, Anisotropic Charge Modulation in the Ladder Planes of Sr14-xCaxCu24O41, Phys. Rev. B 71, 012508 (2005) (download). M. Pinterić, T. Vuletić, M. Lončarić, K. Petukhov, B. Gorshunov, J. U. von Schütz, S. Tomić and M. Dressel, Mott-Peierls phase in deuterated copper-DCNQI systems: a comprehensive study of longitudinal and transverse conductivity and ageing effects, J. Phys. : Condens. Matter 15, 7351-7364 (2003) (download). T. Vuletić, B. Korin-Hamzić, S. Tomić, B. Gorshunov, P. Haas, M. Dressel, J. Akimitsu, T. Sasaki and T. Nagata, Variable-range hopping conductivity in the copper-oxygen chains of La3Sr3Ca8Cu24O41, Phys. Rev. B 67, 184521 (2003) (download). T. Vuletić, B. Korin-Hamzić, S. Tomić, B. Gorshunov, P. Haas, T. Rõõm, M. Dressel, J. Akimitsu and T. Nagata, Suppression of the charge-density wave state in Sr14Cu24O41 by calcium doping, Phys. Rev. Lett. 90, 257002 (2003) (download). B. Gorshunov, P. Haas, T. Rõõm, M. Dressel, T. Vuletić, B. Korin-Hamzić, S. Tomić, J. Akimitsu and T. Nagata, Charge Density Wave formation in Sr14-xCaxCu24O41, Phys. Rev. B 66, 060508(R) (2002) (download). S. Tomic, T. Vuletic, M. Pinteric and B. Korin-Hamzic, Modalities of Self-Organized Charge Response in Low Dimensional Systems, J. Phys. IV France 12, Pr9-211 (2002) (download). T. Vuletić, P. Auban-Senzier, C. Pasquier, S. Tomić, D. Jérome, M. Héritier and K. Bechgaard, Coexistence of Superconductivity and Spin Density Wave orderings in the organic superconductor (TMTSF)2PF6, Eur. Phys. J. B 25, 319-331 (2002) (download). C. Pasquier, P. Auban-Senzier, T. Vuletic, S. Tomic, M. Héritier and D. Jérome, Coexistence of superconductivity and spin density wave orderings in Bechgaard and Fabre salts, J. Phys. IV France 12, Pr9-197 (2002) (download). T. Vuletić, M. Pinterić, M. Lončarić, S. Tomić and J. U. von Schütz, Non-ohmic electrical transport in the Peierls-Mott state of deuterated copper-DCNQI systems, Synth. Metals 120, 1001 – 1002 (2001) (download). T. Vuletić, C. Pasquier, P. Auban-Senzier, S. Tomić, D. Jérome, K. Maki and K. Bechgaard, Influence of quantum Hall effect on linear and nonlinear conductivity in the FISDW states of the organic conductor (TMTSF)2PF6, Eur. Phys. J. B 21, 53 – 60 (2001) (download). M. Pinterić, T. Vuletić, S. Tomić and J. U. von Schütz, Complex low-frequency dielectric relaxation of the charge-density wave state in the (2,5(OCH3)2DCNQI)2Li, Eur. Phys. J. B 22, 335 – 341 (2001) (download). S. Tomić, M. Pinterić, T. Vuletić, J. U. von Schütz and D. Schweitzer, Low-frequency dielectric spectroscopy of commensurate density waves, Synth. Metals 120, 695 – 698 (2001) (download). M. Pinterić, T. Vuletić, M. Lončarić, S. Tomić and J. U. von Schutz, Low frequency dielectric spectroscopy of the Peierls-Mott insulating state in the deuterated copper-DCNQI systems, Eur. Phys. J. B 16, 487 – 493 (2000) (download). N. Biškup, T. Vuletić, D. Herman, S. Tomić, M. Nagasawa and K. Bechgaard, Low Frequency Dielectric Response in Spin Density Wave Phase of Bechgaard Salts, Synth. Metals 103, 2052 – 2053 (1999) (download). S. Tomić, D. Grgičin, T. Vuletić, S. Dolanski Babić, T. Ivek and R. Podgornik, DNA in aqueous solutions with repulsive interactions: structure determined on the basis of dielectric spectroscopy measurements, [[Bioinformatics and biological physics: proceedings of the scientific meeting, edited by Vladimir Paar, Zagreb, Croatian Academy of Sciences and Arts, Committee for Bioinformatics and Biological Physics of Department for Mathematical, Physical and Chemical Sciences]], p. 159-177 (2013) (download). O. Milat, K. Salamon, S. Tomić, T. Vuletić and T. Ivek. Physics of Cells: from the Edge to the Heart – PhysCell 2009 / the First meeting of the European Molecular Biology Organization Conference Series on Cell Biophysics, Primošten, Croatia, September 6-13, 2009, edited by A.S. Smith, T. Vuletić, K. Sengupta, L. Limozin, L. Vonna, T. Franosch (Institut za fiziku, Zagreb, 2009) – Book of Abstracts.